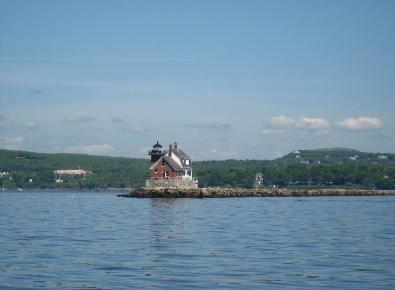 We depart from Rockland going by the Rockland Breakwater Lighthouse, Owls Head Lighthouse, Monroe Island, Matinicus Island, Criehaven Island, then arriving at Matinicus Rock. It will take us around 1 1/2 hours to get there. We spend about 30 minutes circling the island, observing the lighthouse and all the birds and seals. Dolphins and porpoises are often seen. Sometimes whales are spotted. We do not dock or land on the island. Puffins are usually seen from May through mid August. After we are finished viewing Matinicus Rock, we return to Rockland. The total trip takes around 3 1/4 to 4 hours. The weather is often much different out at sea. Be sure to bring a sweater and jacket. Binoculars and a camera are a must! Food and drinks are welcome. Pets can come, but it is a long ride and they are usually happier staying ashore. Sometimes it is foggy in Rockland and clear at Matinicus Rock, or it can be the other way around. If it is foggy we may or may not be able to see the lighthouse. I am sorry, but no guarantees are given as to visibility. The cost is $800 total for up to 16 passengers. 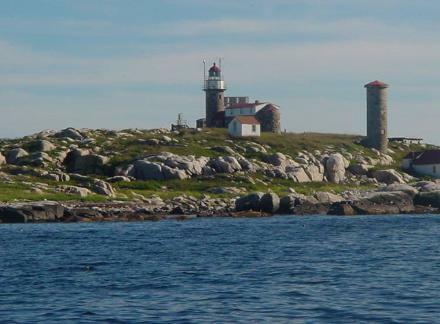 This trip is the same as #1 but we add on Heron Neck Light after we leave Matinicus Rock. We spend around 10 minutes at Heron Neck, then head for Rockland. The total trip takes around 4 to 4 1/2 hours. The cost is $900 total for up to 16 passengers. We depart from Rockland going by Rockland Breakwater Light, Owls Head Light, then to Heron Neck Light spending around 10 minutes, then heading to Matinicus Rock circling the island for 30 minutes. Next is Saddleback Ledge for 10 minutes. 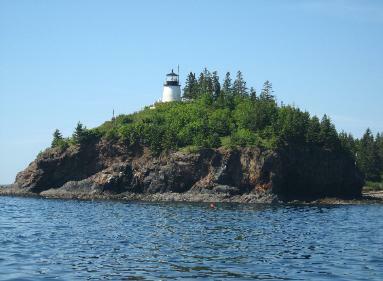 We then head to Goose Rocks Light, transiting the Fox Island Thorofare between Vinalhaven and North Haven. Browns Head Light then appears and Rockland is our next stop. The trip takes around 4 1/2 - 5 1/2 hours. The cost is $1100 total for up to 16 passengers. This trip is the same as #3 except we add on Isle Haut Light after Saddleback Ledge. The total trip takes around 5 - 6 hours. The cost is $1250 total for up to 16 passengers.